How is the Numi chocolate compared to the Red Velvet Chocolate? I got some of it (the Red Velvet) a few weeks ago & think it's kind of weak.... but I'd love to find another one that's more chocolatey! 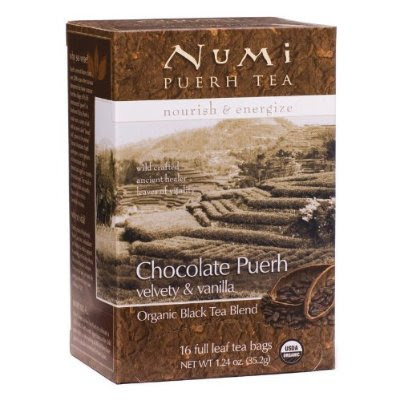 The Numi has more of a pure flavor, it is subtle chocolate but you sure can tell it is chocolatey. It brews really creamy like. Sounds good to me! I'll have to look for it. Thanks! 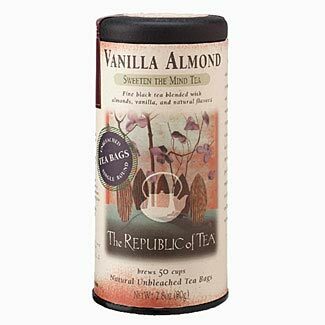 I love Republic of Tea's Vanilla Almond! The day I reached the last tea bag was a very sad day indeed.